Health is most important in everyone’s life and is of utmost importance. Being healthy is everyone’s desire. My Care helps you to identify and fulfill your health needs in all dimensions so as to manage your entire health. Definition of Health: Health is a state of complete physical, mental and social well-being and not merely the absence of disease or infirmity. (WHO). My Care understands health needs in a broader perspective and helps you to manage your health in all 6 major dimensions. My Care aims the complete wellness for you. 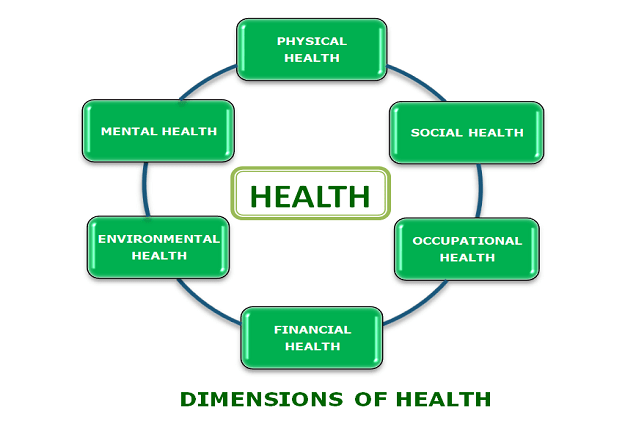 Health education, timely evaluation of health profile and health planning plays a crucial role in control of risk factors, onset, delay in progression and complications of the diseases (specially the non communicable diseases like cardiovascular diseases, chronic respiratory diseases, cancers, diabetes etc). The active search for disease among apparently healthy people is a fundamental aspect of prevention. Detailed Health Scan (Detailed Medical History, Full Body Check-up, Preventive Health Tests) – Medical History, Physical Examination, Blood Tests (Complete Haemogram, Diabetic Screen, Lipid Profile, Thyroid Profile, Liver Profile, Renal Profile, Iron Deficiency Profile, Electrolyte Profile & Pancreas Profile) ECG, Eye Check-up, Computerised Lung Function Test(PFT), Bones and Mineral Density Test(BMD), Dental Examination, Neuropathy Test, etc as per requirement. Full Implementation Support: Follow-up Services including expert consultancies, treatments, etc. at Special Discounted Prices/Rates in our network healthcare facilities or by our service providers. Periodical Assessment of your health situation as per requirement on discounted fee/prices. Mental Health is defined as the ability to control emotions and express them appropriately and comfortably. Mental health is a positive state of well-being which enables an individual to be able to function in society and meet the demands of everyday life. Planning of your better Mental health in future. Social Health is defined as the ability to learn, grow from experience, and utilise intellectual capabilities in society..
Planning of your better Social health in future. Providing you online transaction account (Complimentary) (Online Transaction Account linked with your Bank Account with 0% brokerage rates in all MF transactions). Opening your Personal Wealth Account (Complimentary) (online & updated on daily basis) to tack your investments (Apps also available) with Live Goal Tracking System. Complimentary Goal Revision on regular intervals for better financial health. Complimentary basic and advanced financial Education.